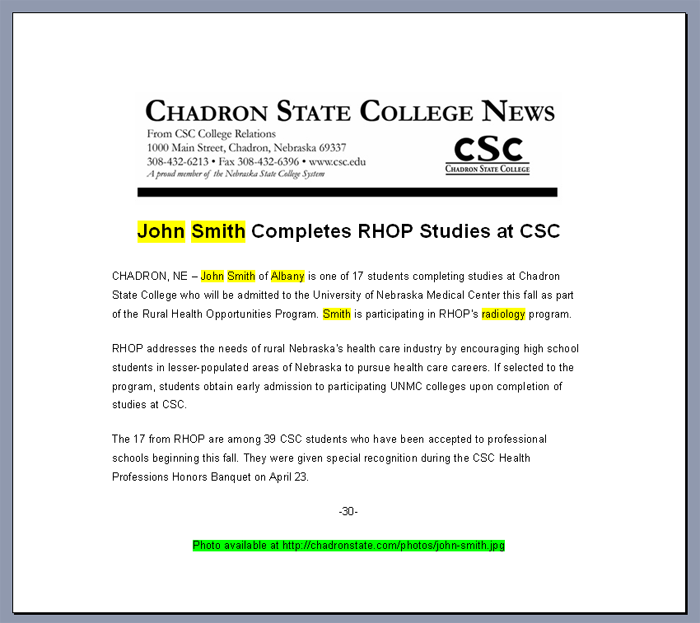 In this release you will notice a sentence with a link to a photo highlighted in green at the bottom. All other placeholders are highlighted in yellow. Readers can follow the link to view this student's photo on the school's website. If you include a similar column in your spreadsheet, the individuals who have no data in the column will have that block of text omitted entirely. Alternatively, you can include vary the text in the field to note that there is no link for this student. 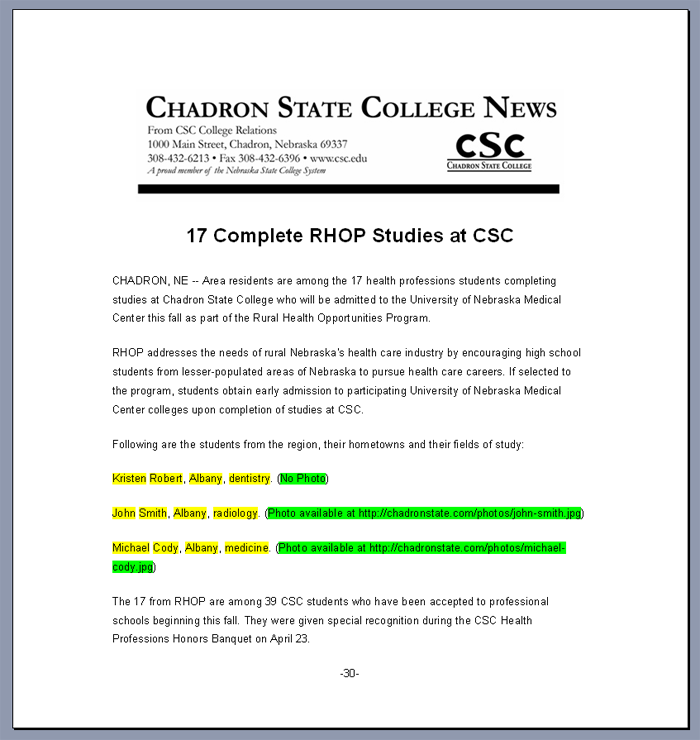 The first student listed in the press release below doesn't have a link in the green sentence.